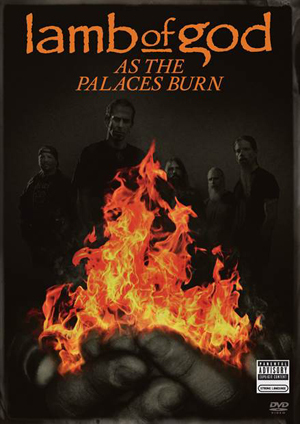 The moment LAMB OF GOD fans have been waiting for is here – the band’s feature-length documentary, As The Palaces Burn, will be released on DVD on October 14, 2014 via Epic Records. In addition to the first DVD including this spectacular film that the New York Daily News called, “a riveting documentary” and the Huffington Post called “fascinating viewing”, a second DVD will be included that features over two hours of additional, unreleased “making of” footage. In addition to general footage not included in the final cut, the second DVD also includes exclusive material from the original planned version of the film about LAMB OF GOD’s music’s effect on fans in other cultures.